The fantastic Kirsty Gallacher can speak at your event! As a booking agent for Kirsty Gallacher, we can arrange for her to entertain your guests. 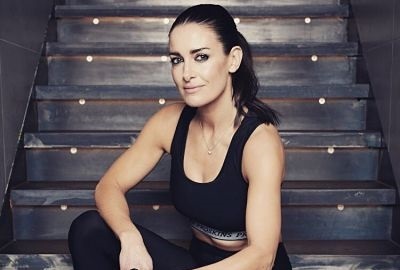 Kirsty Gallacher began working as a production assistant in 1996 at Sky, before moving on to the position of editorial assistant on Sky Sports. She got her presenting break on Sky Sports News in 1998, and since then has been associated with many other sports shows such as 90 Minutes, Soccer Extra, Kirsty and Phil (on BBC Radio 5 Live) and Soccer AM. From 2000 until 2004, Kirsty Gallacher hosted the Sky One show Kirsty’s Home Videos, she presented the morning show RI:SE, and in 2004 began the show Simply the Best. Kirsty presented the All Star Cup on Sky 1 in 2005 and on ITV in 2006. In 2005, Gallacher won the third series of the popular Channel 4 reality TV series, The Games. Kirsty also presented the following years alongside Jamie Theakston. In 2005, Kirsty Gallacher released a fitness DVD and in 2006, she co-presented the BBC reality TV show Only Fools on Horses. In 2008, Gallacher presented the new version of Gladiators on Sky1 alongside Ian Wright. In August 2008, she appeared on Who Wants to Be a Millionaire? In August, Kirsty guest presented GMTV for two weeks. In May 2002, Kirsty Gallacher won “Satellite/Digital TV Personality” at the Television and Radio Industries Club Awards, and her show Kirsty’s Home Videos won “Satellite/Digital Programme” at the same awards the following year. It was won a “Platinum Award” for Best Entertainment Programme at the 2002 Houston International Film Festival. Contraband is the UK’s top booking agent, with friendly, attentive account managers who guarantee you the best deal possible. Contact us today if you would like to book Kirsty Gallacher to be the headline of your event! We as your booking agent are more than happy to help you create the most memorable moments with Kirsty Gallacher.